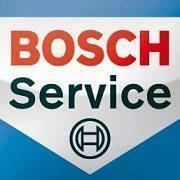 "We are a Bosch Car Service Centre, RAC Approved Garage and Saab Authorised Repairer. Located in Birstall just off the A46/A6 roundabout on the north side of Leicester. If you appreciate exceptional levels of service, then you’ll love Bond Street Car Service. We have an outstanding automotive heritage in Leicestershire, where professional people have trusted us to look after their cars for the past 24 years. We maintain the highest level of manufacturers service, but at a fraction of the cost. We use only manufacturers specification parts and have the latest diagnostics equipment to ensure your car remains in perfect condition. A range of services to ensure your prestige car remains immaculate: MANUFACTURERS SERVICING F1 STYLE 1HR PIT STOP SERVICING GENUINE PARTS FLEET SERVICING MOT’S BOSCH SERVICE & PARTS CENTRE TYRES & EXHAUSTS PERFORMANCE PARTS & TUNING SMART REPAIRS SERVICE HIRE CARS & COLLECTION MULTI CAR DEALS SERVICE & WARRANTY PLANS COMFORTABLE WAITING LOUNGE If you prefer to leave your vehicle with us, Leicester's Park & Ride service is just over the road dropping you off in the heart of the city. We also offer a collection/delivery and loan car service (subject to availability). We have a comfortable waiting lounge with free tea & coffee and free wifi access.